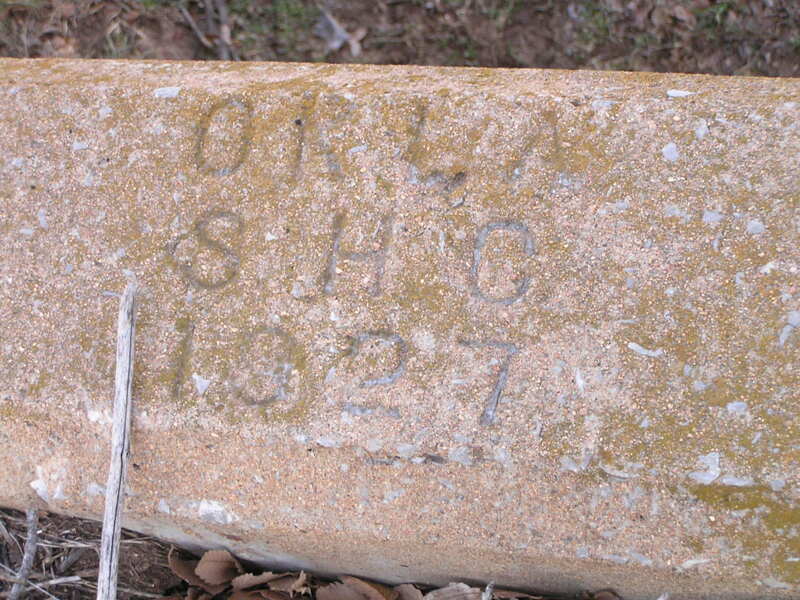 Records give a construction date of 1936 for the bridge you see pictured here (above), but the photo below, shows a highway commission date stamp of 1927 on the abutment, telling another story. 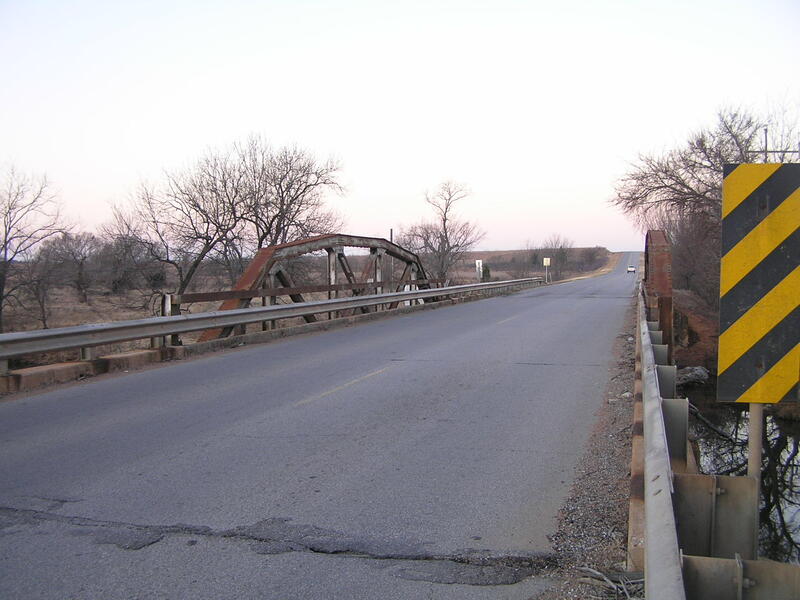 It appears this bridge, consisting of an 80 foot riveted Parker pony span and steel stringer approaches was altered or rebuilt in 1936.This bridge is located just east of Cache. 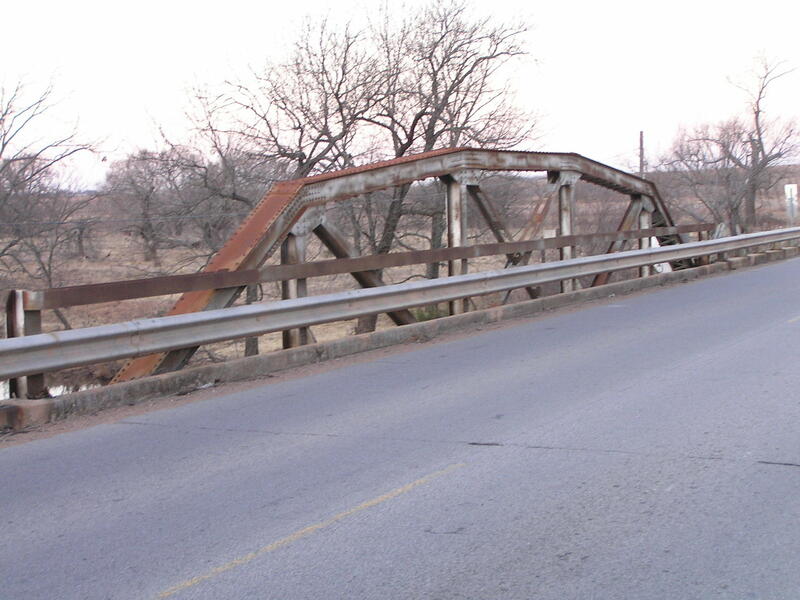 Above, an angle view of the side of the bridge. The piers are very peculiar looking, definitely not the standard round pier with shear wall we generally see. Below, in this view we can see that the present monolithic pier has been built between the foundations of the old piers, which now exists as stubs just below the water line. Above, view of the truss from the deck. The truss itself is mid 1930's vintage. 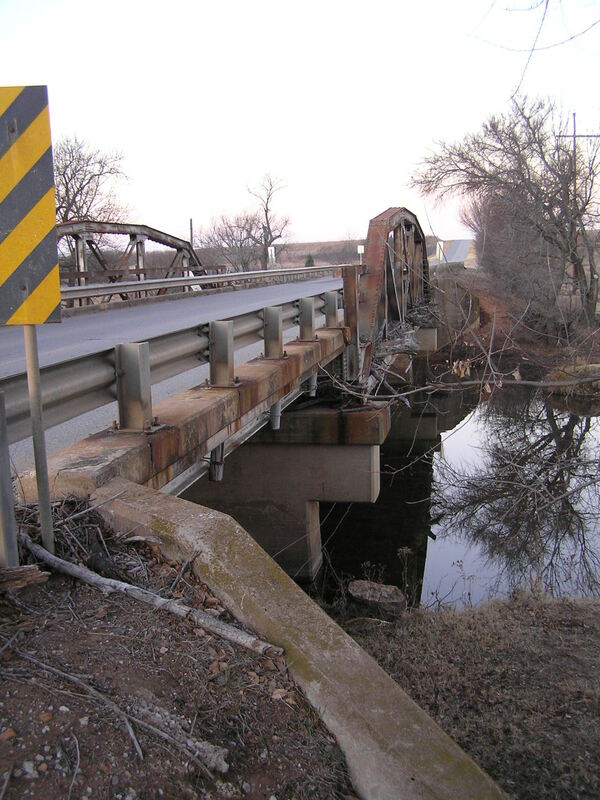 Below, looking west through the bridge. 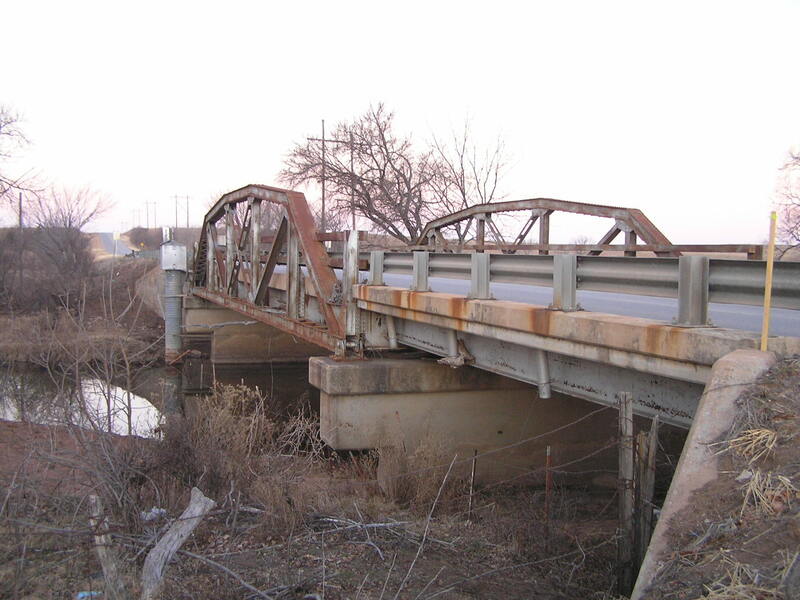 A washout in the early or mid 1930's may have been the reason the 1927 piers and truss span were replaced in 1936. It does add to the interest that the old abutments were reused. 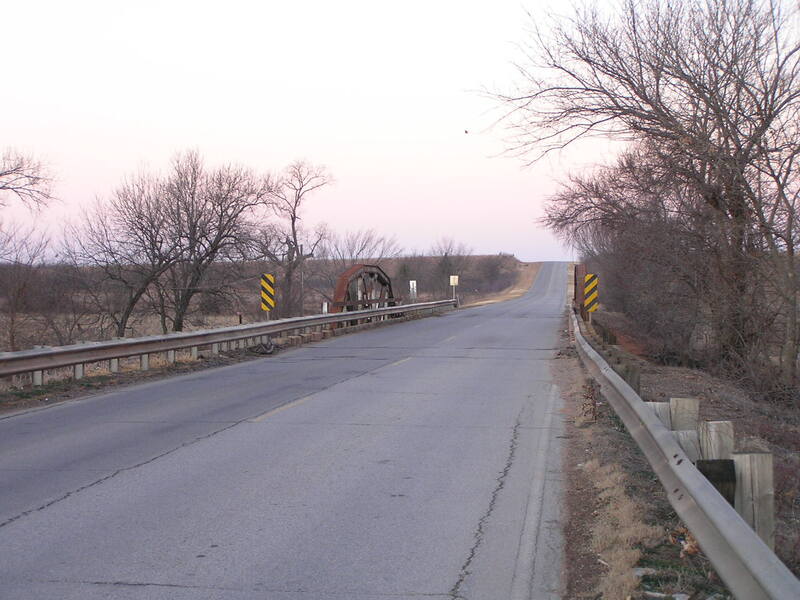 Other than the guardrails on the approaches having been replaced, this is a fine-and interesting-old bridge.